Paavai does every bit to cherish Mother Nature and the gifts that she offers. 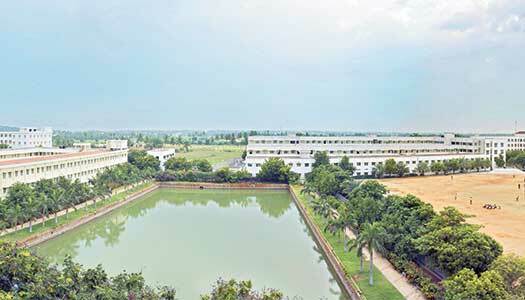 The rain water harvesting pond – Amirthavarshini, collects every drop of rain water in the campus into the 100 x 80 Feet pond, thereby replenishing the ground water. Amirthavarshini has helped recharge the ground water in the Pachal area, thereby reducing water scarcity in the area and also reducing the salt content in the water.